"Buy-in, Budgets and Best practices needed for successful inbound marketing"
Inbound marketing is not a single channel or a tactic, but a philosophy that drives your entire marketing strategy. Inbound marketing refers to marketing activities that bring visitors in, rather than having the marketers go out to get the attention of the audience. Allocating marketing budgets for paid advertising through search engines or different social sites. Assign a daily budget or a total budget to a campaign and run the sponsored content for any time period, giving you a lot of flexibility. How is inbound marketing different from traditional marketing? How does inbound marketing help in launching new product? 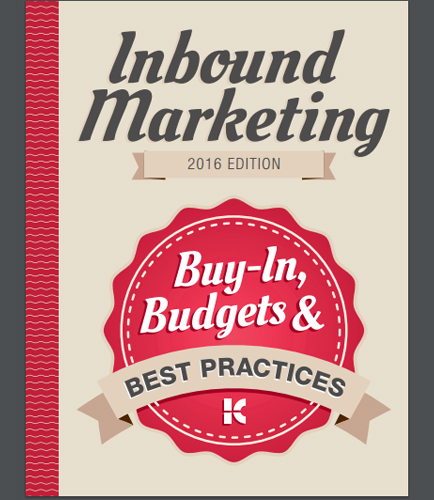 Download this whitepaper to learn more about buy-in, budget and best practices in inbound marketing. High performance websites enjoy higher visitor engagement with advanced styles, features, including strong content and eye-catching visuals. High performance websites go beyond meeting the immediate behaviors and preferences of today’s user. Is your website designed and developed for adaptability, scalability and on-going optimization?Are you still using the traditional website designing methods? Some of the problems organizations are facing while traditional website redesigning: Marketing gets pulled from its focus on business goals to assist with branding and messaging. Organizations place significant cost, resources and energy into the website upfront without any guarantee that the finished product will perform to their standard. There is no warranty and the webiste performance is not up to the mark. This whitepaper includes all the necessary information to help you build high performance web sites including: 10 Steps to create high performance websites that lasts Different phases in redesigning high performaning websites Different enhancement approaches to design a high performing website? Mobile optimization: Making websites look great and function well Tools and Techniques used to build high performance websites for engaging digital experiences How to create strong visual content to engage more website visitors? Read this whitepaper and learn more about creating high performance websites for engaging digital experiences and how to incorporate these approaches, strategies and features through website redesign, to maximize your investment and meet your audiences in motion. Paid Content Distribution- The Inbound Marketers’ Way Paid content distribution is a bridge above the swelling sea of content that connects brands with target audiences to help the right information find the right people. But the real challenge is to create highly engaging, personalized content that delivers value to its intended audience. This whitepaper guides you on how to connect with people through different paid media distribution channels including social media. It also covers topics such as: How can inbound marketers build a Perfect Content Distribution Strategy for paid media? Why inbound marketers need to consider paid content distribution? How to cost effectively distribute your content across social media channels? How to target the right audience for paid content distribution by finding the right information about them? Which paid content distribution channels can have a major impact on your search rankings? How to set the overall paid content distribution campaign budget to manage daily spend? Start delivering content to the right buyers at the right time and meet specific marketing goals.